After the break, came the NYS ELA’s. Then on Monday, April 16, I met a woman named Angela Gaul. My mom and I met her at the United Way office in White Plains. Angela is a reporter. She made a video of me for the Patch. If you want to see it, you can go to the “Press” page on the website (http://www.starsforcars.org/press/). I was invited to come and make a video to let people know more about Stars for Cars. 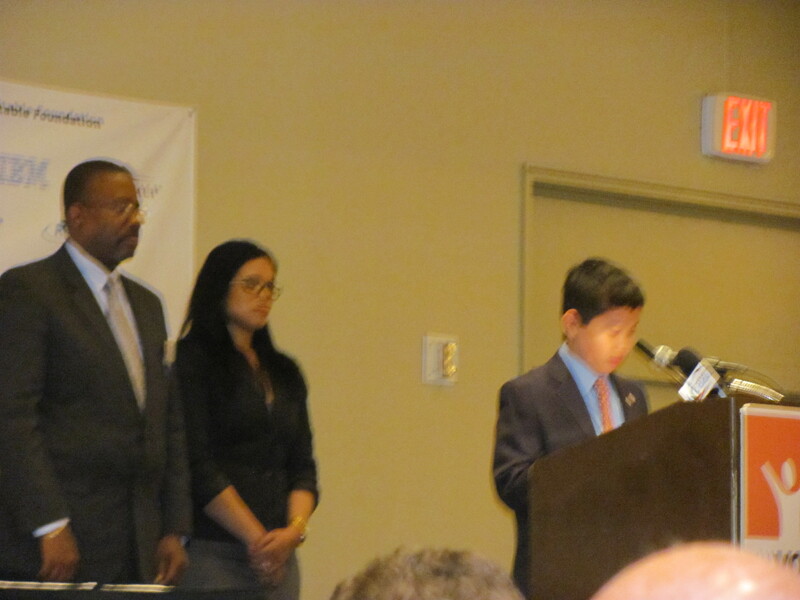 I talked about my inspiration, Mrs. Teresa Arciola and her son, Michael. I thought it was a little scary at first because I had never been on a video interview before but Angela was so caring. I wanted to get the message out about “Our One Percenters.” I found out I had a lot in common with Angela. We both like horses and science. We talked about the Arciola family and other Gold Star Mothers. I ended up liking the experience. The most important thing for me about the experience was I got the word out about the “Blue and Gold Star” families. 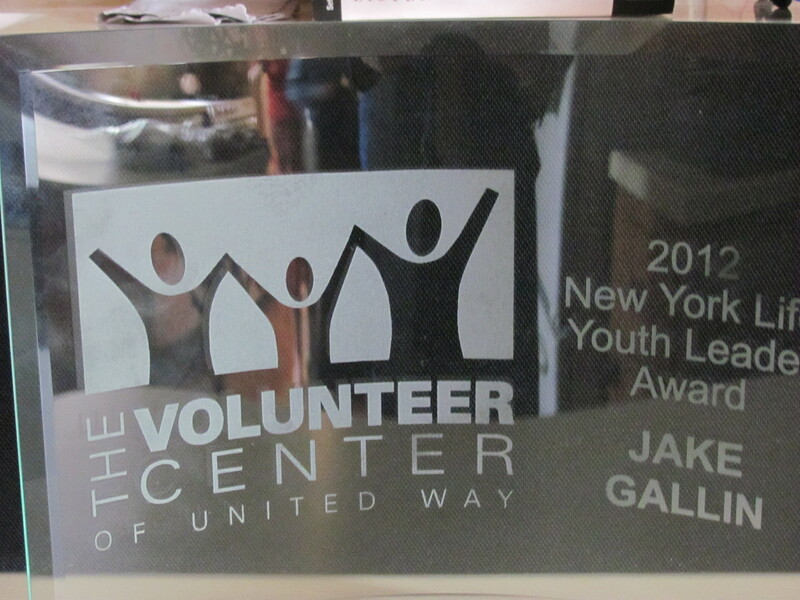 On Friday, April 20th, I was honored by the Volunteer Center of the United Way at the Rye Town Hilton. 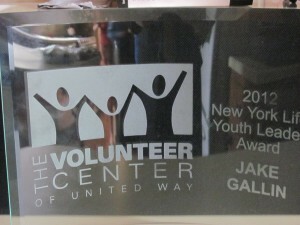 I won the New York Life Youth Leader Award. You can also go to the “Press” page of the website to read more about it. 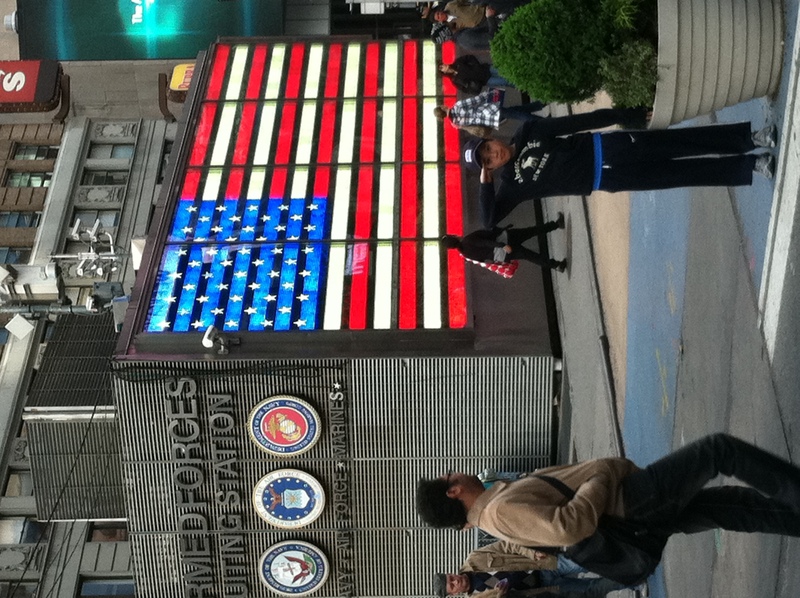 I was really happy that I got up and spoke about the “Blue and Gold Star” military families. It was such a thrilling experience! The other honorees had some amazing speeches and I like what I heard. The causes that they volunteer for and create really help people in need. The people at the Volunteer Center were all enthusiastic! I especially want to thank the nine judges, Mrs. Alisa Kesten, and Mrs. Angela Taylor. Mrs. Kesten is the Executive Director of the Volunteer Center. Mrs. Taylor is a member of the Board of Directors and on the Event Committee and she was my “buddy” for the day. I enjoyed meeting Mr. Douglas Rogers who presented me with the Volunteer Spirit Award. Mr. Rogers is from New York Life and is also the Chair of the Board of Directors for the Volunteer Center. He introduced me before I spoke. He also told me and my mother about his friend in the military. I liked hearing about that. Wherever I go these days, I find out that someone knows someone in the military or wants to help a “Blue and Gold Star” family. I like that people are talking about “Our One Percenters” all over the place. I had many special people with me on Friday besides my parents. Some of those people were my Grandmother and Great Aunt. I call her Grandma “G” for Gallin (she is looking so healthy-like she is 60). My Dad’s Aunt Alice Gallin who is 90 and a nun (she is still as fit as ever) came too. Some of my other aunts and uncles came and my cousin took the day off from school. 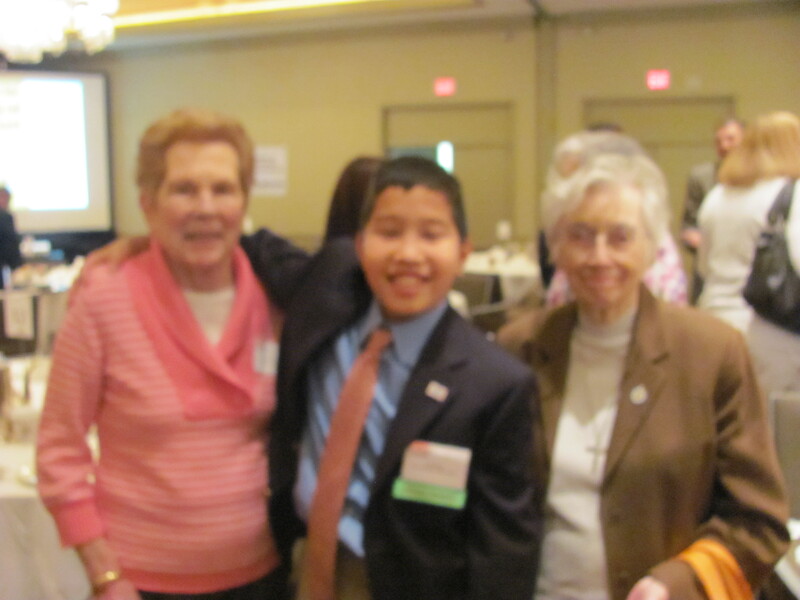 Our friend, Westchester County Legislator James Maisano attended and said something important. 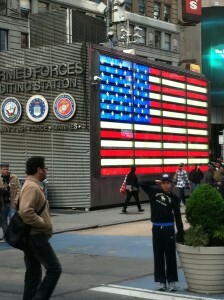 He said that he was going to volunteer his son the next time we sell our “Stars.” I thought that was a great deal. I think that is a great example of volunteering! Mayor Noam Bramson surprised me. He sat with us at our table as well. He always took my ideas seriously and he was the one who nominated me for this award. Their jobs are both very important jobs because they help the city and county make decisions on how the city/county is governed. In a way, Mayor Bramson and Legislator Maisano volunteered their time to help me and Stars for Cars. They helped by giving their support. They helped by getting the word out about Stars for Cars. Their helping me helps the “Blue and Gold Star” families. Thank you, Mayor Bramson and County Legislator Maisano. There is one more person I would like to thank. I would like to thank Mr. Franco J. Miele. He is my Principal at William B. Ward Elementary. It surprised me that he showed up on this joyous occasion! There are over 1000 students at Ward and Mr. Miele took time out of his busy day for one student. That is pure love! The school and community have always been on my side supporting Stars and I want to thank everyone. If you want to read my speech, just wait, my Dad is going to post it.